So what does a pre-owned BMW have to do in order to achieve Certified status? A later model with less than 60,000 miles, a BMW Certified Vehicle is tested against our comprehensive Certified vehicle inspection checklist by a BMW-trained technician, where everything from how the engine performs to the operation of the glove box is scrutinized. And every BMW Certified Vehicle also comes with a vehicle history report available for viewing on your BMW center website. 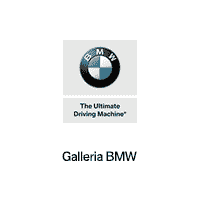 Why should you buy a BMW Certified Vehicle from Galleria BMW? Certification Process: In order for a BMW to become Certified, it goes through a comprehensive certification process that includes rigorous criteria and meticulously performed procedures. And to even be eligible, it must be a late-year model with no more than 60,000 miles on the odometer. Warranty: When you choose a BMW Certified Vehicle, you’ll have ultimate assurance with our BMW Certified Limited Warranty. It provides comprehensive coverage for every BMW Certified Vehicle for 1 year with unlimited miles after the expiration of the 4 year / 50,000 mile BMW New Vehicle / SAV Limited Warranty. Additional plans are available to extend your vehicle’s coverage. With the inclusion of 24/7 travel protection through BMW Roadside Assistance, the BMW Certified program is designed to give you complete confidence throughout every step of your BMW Certified journey. The BMW Certified Protection Plan provides specific coverage against defects in material and workmanship; the plan is not a Maintenance Program or an extension of the original 4-year/50,000 mile New Vehicle/SAV Limited Warranty. There are various items that are not covered by these warranties. Finance and Special Offers: BMW Financial Services provides you with attractive financing options.